Erik Lehnsherr was born to a Jewish family in Germany in 2356. His parents Jacob and Edie Lehnsherr were from Dusseldorf. During his childhood he moved with his parents to Poland where he grew up. 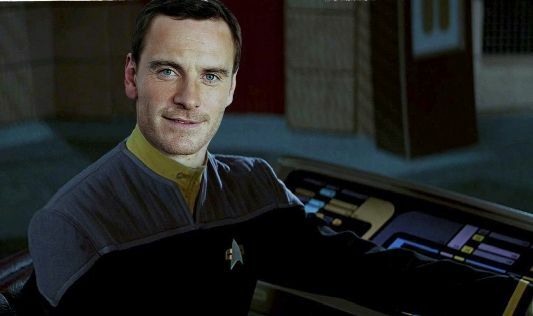 At 17, Eric left Poland to attend Starfleet Academy as a freshman. He originally chose security as a major graduating in the top ten percentile of his class four years later. He was assigned to the Akira class USS Kennedy as a security officer. While on the Kennedy he met his wife Magda also serving in security. The security chief on the Kennedy was friends with Martha Jones and put in a good word for Eric which prompted Jones to select Lehnsherr to be the relief officer on the alpha shift at the operations console on the newly christened USS Odyssey. He felt that operations was a better fit Lensherr's natural abilities.